Giving someone a fun bottle of liqeur at Christmas. This year, why not give TY KU? 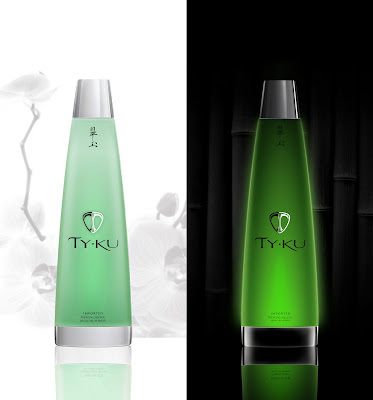 TY KU is a new wine & spirits brand focused on creating healthier, low calorie, low carb, low sugar cocktails for people who care about what they put in their bodies. Their new 100 Calorie Cocktails are perfect for the moms who practice a healthy lifestyle but like to have an occasional cocktail with her girlfriends or at a party. Also, it is a perfect gift for the holidays when moms are looking for adult gifts under $35 to fit in their budget because not only does it create amazing low calorie cocktails, every bottle lights up!!!! Check it out today!! Seattle Chocolates offer fab holiday gifts and the convenience of 24/7 online shopping. They look and taste amazing, and the 100% of the net profits from the sale of Extreme Dark Chocolate Truffle Bars and Survivor Chick Chocolates are donated to breast cancer charities. If mom is also a "mamapreneur," then the Publici-Tea-TO-GO! gift bundle (www.publiciteatogo.com) is a great answer. It offers tea, chocolate, biscotti, a tea cup, and the tips, resources, and tools to earn publicity success -- all the be enjoyed in the time it takes to enjoy a really good cup of tea. This gift bundle comes in a sassy, hot pink tote box, to delight the aspiring woman business owner on your holiday list. And 10% of the net profits from year-round sales are donated to Northwest Hope & Healing, a non profit that delivers healing baskets to women newly diagnosed with breast cancer. And, for the fashionista who loves a sassy handbag, check out the Zook Hook purse hangers at www.zookhooks.com. So much bling to choose from at such great print points. Protect your bag from germs, keep your purse safe, and add bling with one brilliant stroke. "42 Rules for Working Moms" by Laura Lowell is a great gift for the working mom in your life. Written by working moms, this book is a compilation of funny practical advice on how to survive as a “working mom.” These real life experiences are fun, personal and sure to be appreciated by working moms everywhere. Gone are the sugar-coated nicey-nice images you just can’t relate to. In 42 Rules for Working Moms, you get real insights into what matters, what works, what doesn’t and why. For the Mom that has everything, why not check out Pixily? Pixily is an interactive document management service that helps consumers and small businesses be more organized and efficient. For consumers, Pixily is a digital organization assistant that quickly organizes paper and electronic materials securely online so information can be found in an instant, whenever and wherever it is needed. Pixily is also an affordable on-demand document management service for businesses that saves organizations time and money and enables them to be more environmentally friendly. Help Mom get organized this year with a Sarah Pinto 2009 Weekly Planner. They are a simple, functional and fun organizational solution. These durable planners measure 5” by 7” and are made with high-quality recycled paper, soy-based ink and they are printed and bound in San Francisco, California. With five unique cover designs, Sarah Pinto’s 2009 Weekly Planners are a stylish, eco-friendly answer to your busy everyday schedule. It's always hard for Mom to leave her kids in the care of others. Make it a little easier for her by getting her "By the Book: How to Take Care of MY Kids" for Christmas this year. This book is a personalized manual for taking care of your kids, anytime, anywhere, by anyone. Great list, love the idea of a low cal cocktail and some chocolate I can feel a little better about eating! ;) I'll definitely have to check out the 42 rules book, and I'd recommend Sarah Pinto's planners to anyone - she's from my hometown!